At Eminence, we can also help you with your flooring solutions for any room in your home, Karndean Design flooring produces flooring inspired by real wood and natural stone in durable and practical luxury vinyl floor tiles. Comfortable, practical and hard wearing, Karndean is softer and warmer to the touch; easy to clean without the porous qualities of wood and some stones. 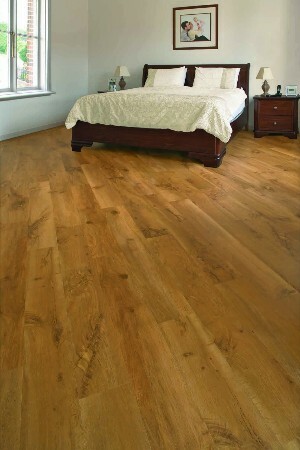 In the unlikely event of damage, a Karndean Design flooring plank or tile can be replaced easily. This is a huge advantage over products supplied on a roll such as carpet, linoleum and sheet vinyl and click together floors such as laminate, as damage means a costly replacement of your whole floor. Offering peace of mind Karndean is covered by a 12 year purchase GUARANTEE, protecting your new investment in the unlikely event of a material manufacturing defect . If you purchase your Karndean Flooring through us you can qualify for a transferable guarantee which can be passed on should you sell your house in the future – adding a little extra saleable benefit to your home. Visit our showroom to view our numerous samples on display.